Updated, 1:51 p.m. | Rep. Doc Hastings, R-Wash., will retire at the end of the year, he announced Thursday in a statement. "It is with deep appreciation for that privilege that I announce that this will be my final term in office and that I will not run for reelection in November," he said in a release. Hastings is the 18th member of Congress to announce retirement this term, according to Roll Call's Casualty List. GOP Rep. Gary G. Miller of California announced Wednesday he would not seek re-election. Though a host of high-profile lawmakers have said they will step down lately, it's not close to the records set by previous Congresses. It is unlikely Hastings' 4th District will become competitive in an open-seat race. Mitt Romney carried the seat in 2012 by a 22-point margin. 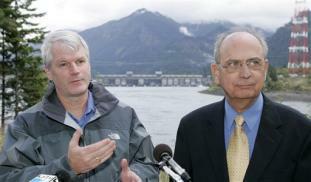 At first glance, Washington State and national Republican operatives suggested as possible successors: former NFL tight end Clint Didier, former state Department of Agriculture Director Dan Newhouse, state Sens. Sharon Brown, Janea Holmquist Newbry and Curtis King; state Reps. Bruce Chandler, Brad Klippert, Matt Manweller and David Taylor. Manweller does not live in the district, but his legislative seat overlaps with the 4th. The filing deadline is May 16. The primary will take place August 5.